My Blogger Buzz: What are the Limitations of a Blogger Account? What are the Limitations of a Blogger Account? Blogger is a free and most used blogging program preferred by most of bloggers. Only With a Google account it's possible to start the Blogger blog in a few minutes & almost all without spending one single penny. Blogger is simple to operate & will probably be the beneficial start when you first enter in the field of Blogging. You can even host your custom domain without spending money to buy hosting and there are many more strengths and benefits of Blogger blog. Blogger will be free however or even we had the question that what number of blog it's possible to have in a Blogger account. As a Blogger user, you have to know all the limitations of Blogger account. 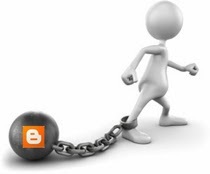 So lets start knowing the all limitations of Blogger. Number of Blogs: You can create or have not more than 100 blogs per account which is more than enough for a single account. Profile info length (about me): Your profile about me information is limited to 1200 characters. Additional info (Interests & favorites): Your additional information that is your interests and favorites cannot have more than 2000 characters. Number of Posts: You can have unlimited post in your blog. All your posts remains in your account till you delete it manually. In case if you deleted any of your posts, then still you can recover it. Number of pages: You can create 20 static pages and not more than that. Post size limit: There is no specific size limit for your individual blog post. But there are chances to exceed your page size limit if your blog posts are large. Page size limit: Each separate page cannot have more than 1 Mb in size. If this limit exceeds then you will see an error message like this (006 please contact Blogger support). To maintain the page size limit you can reduce the number of posts displayed in your page. This also helps in page load speed. Blog Title: There is no limit for Blog titles. The best practice for SEO is to limit titles to 70 characters. Number of labels: Labels are limited to 20 per blog post, which is more than enough to categorize a post. Media files ( images & videos ) are stored in Picasa web albums in which you will get 1GB of free storage. Number of images: You can have as many images within 1 GB of free space. You can get your images back from Picasa even if you deleted from you blog. Image size limit: There is no limit for image size but for page load speed it’s recommended you to compress images and upload. However an image uploaded via mobile is limited to 250 k.
Video limit: Imagine how many videos you can have with 1 GB of free space in Picasa. If you need more videos then best option is to embed YouTube videos. Team members / authors: A blog can have 100 members and that’s the limit. Number of comments: Each individual post can have unlimited numbers of comments until you close the comments. All the pre-existing comments will save in your account even if you hide it. Blogger as a Google service it has strict rules and if you violate Blogger’s Terms and condition your account will be suspended. Blogger will not send any warning or notification to ban your account. You cannot use your account and no one can register the banned blog name if it gets suspended. So I listed all the limitations of a blogger account, but still Blogger is a great blogging platform for newbies as well as pro bloggers. Now It's your turn to share this post with your friends and write your views in comments till then Peace, Blessings and Happy Limiting.